Brain/Birth Injuries • Cerebral Palsy | Brunswick Georgia Personal Injury Lawyers – The Dow Firm, P.C. Serious brain injuries at birth can result in life-long medical conditions that affect a child and his/her parents. One such condition is cerebral palsy. 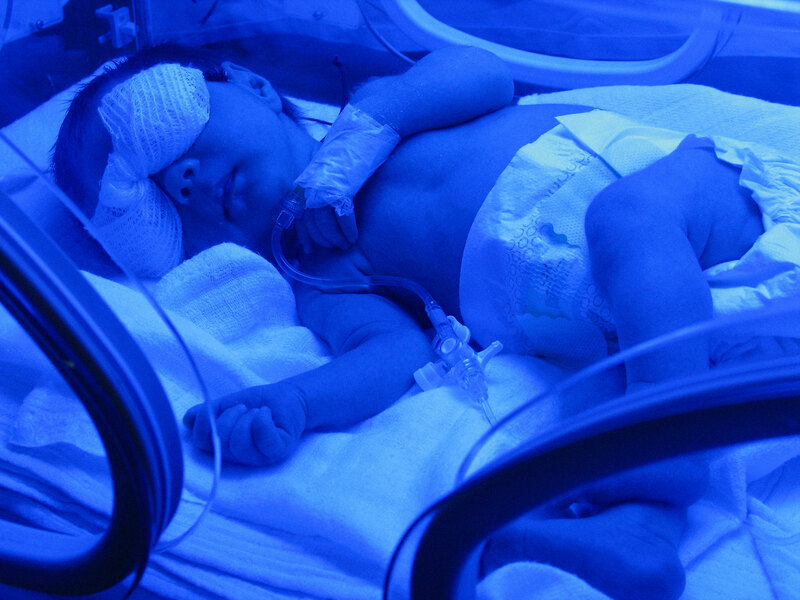 There are many possible causes of cerebral palsy to include trauma and/or oxygen deprivation sustained during labor and delivery and complications in the perinatal period (such as exposure to radiation or some forms of infection). A child’s diagnosis of cerebral palsy may be a legitimate subject of a medical malpractice lawsuit if it is established that the medical practitioners (doctors or nursing staff) responsible for the mother and child failed to reasonably perform their healthcare duties in a timely and thorough fashion. A monetary recovery in a brain-damaged baby case may be in the tens of millions (depending upon the facts of the case and the child’s life-care plan) because compensation must be sufficient to accommodate the serious losses and hardships the baby and his/her family has and will continue to endure as a result of the cerebral palsy diagnosis. It is essential to note, however, that an unfortunate outcome does not necessarily mean that a child or mother received poor medical care. Georgia has varying statutes of limitation which have different applications to the various aspects of a medical malpractice matter where an infant or child suffers a brain injury at birth or thereafter. For that reason, if you feel that your child suffers from cerebral palsy due to a healthcare provider’s negligence, you should contact The Dow Firm, P.C. immediately to ensure that your situation is properly assessed and no legal rights are permitted to lapse. The Dow Firm, P.C. is proud to offer services and represent clients with birth and child injury cases in Glynn County (Brunswick, Country Club Estate, Dock Junction, Everitt, Jekyll Island, Sea Island, Sterling, St. Simons Island and Thalman), Brantley County (Atkinson, Hickox, Hoboken, Hortense, Lulaton, Nahunta, Trudie and Waynesville), Camden County (Colesburg, Dover Bluff, Harrietts Bluff, Kings Bay Base, Kingsland, St. Marys, Tarboro, Waverly, White Oak and Woodbine), Wayne County (Jesup, Odum and Screven), McIntosh County (Cox, Crescent, Darien, Eulonia, Pine Harbour, Ridgeville, Shellman Bluff, South Newport, Townsend and Valona), Pierce County (Blackshear, Bristol, Mershon, Offerman and Patterson), Chatham County (Bloomingdale, Garden City, Georgetown, Isle of Hope-Dutch Island, Montgomery, Port Wentworth, Pooler, Savannah, Skidaway Island, Thunderbolt, Tybee Island, Whitmarsh Island, Wilmington Island and Vernonburg) and counties throughout the state of Georgia. The Dow Firm, P.C. is located in Brunswick, GA, however, our firm is able to manage birth injury and all types of personal injury cases anywhere in Georgia.